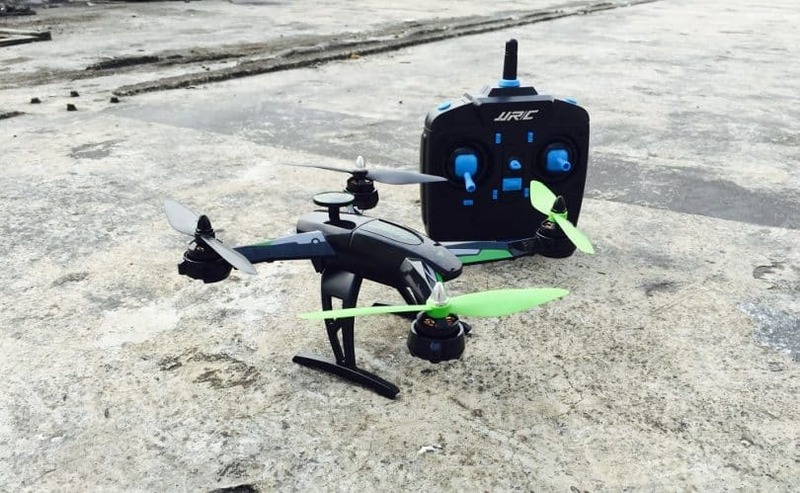 When looking to buy a drone, you definitely should consider the JJRC unmanned aircraft. 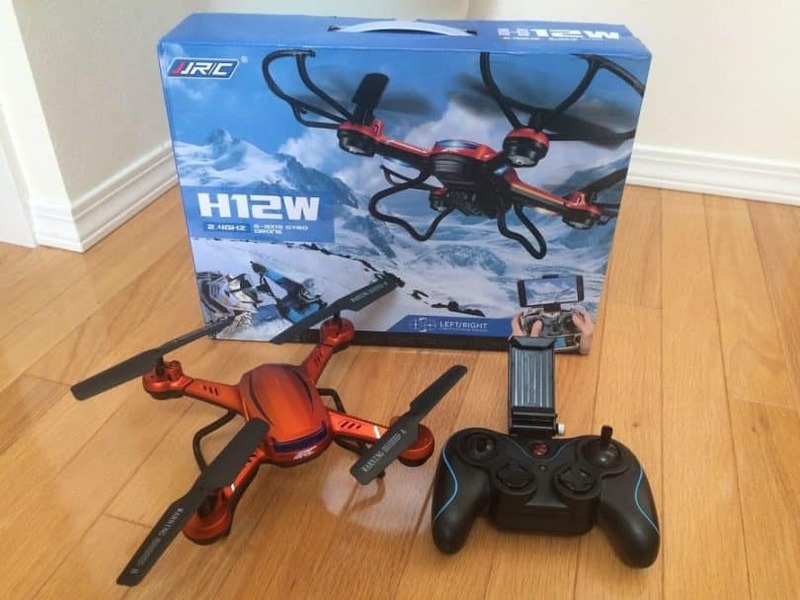 JJRC is a company from China who is a manufacturer, wholesaler, and supplier of R/C aircraft, RC helicopters (3, 4, and 6 RC copters), RC cars, and other remote controlled products. 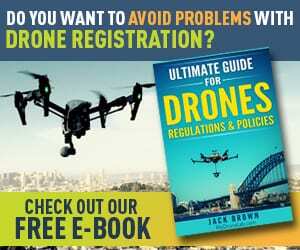 When it comes to the drones, there is a large selection of both primary and professional JJRC UAVs on the market. Each of these drones has its own qualities, so it is hard to say which the best JJRC drones are actually. Aside from the quality and great features, the affordable price also makes these drones appealing to customers. If you are a beginner in drone flying, you need to focus on the primary JJRC drones. 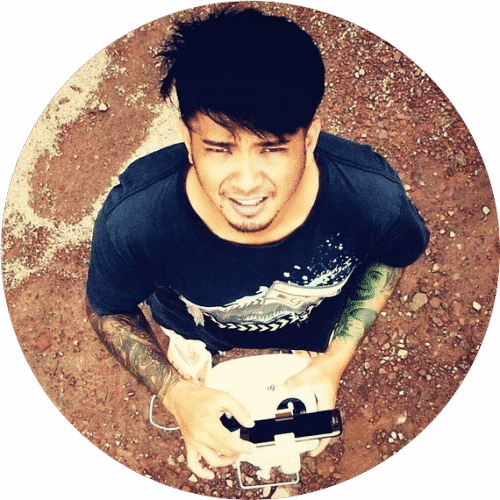 They are adapted for RC beginners because of an advanced stabilization system and simple operation design, so it is quite easy and fun to learn drone flying with them. On the other side, there are also a lot of professional JJRC drones which are equipped with various advanced components, and as such are ideal for moves enthusiasts to make the high-quality aerial videos. In the following content, you are going to see top JJRC drone models according to customers’ opinion. 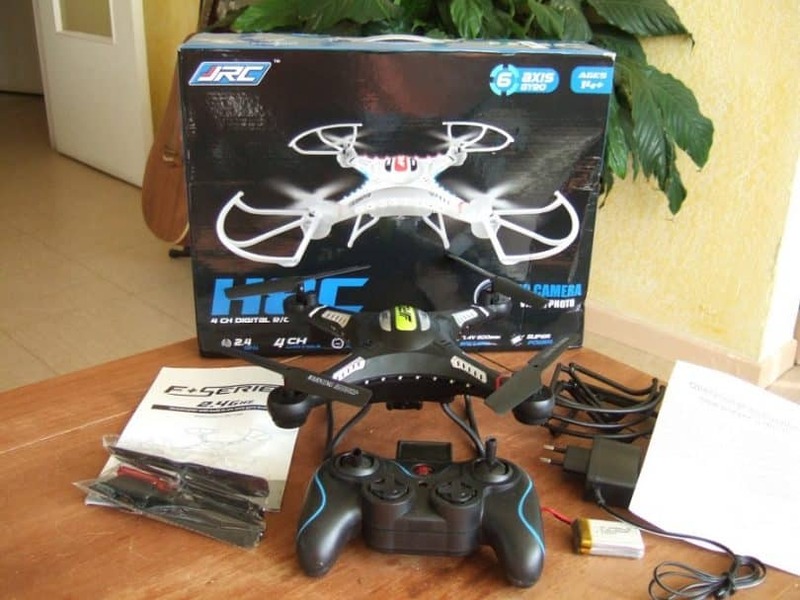 One of the most popular JJRC drones is the H8C quadcopter. It is also known under the name DFD F183. This beginner mini quad was released two years ago, and it is still in the great demand all around the globe. What makes this JJRC model so popular? A handful of good features, easy control, modern design, and ridiculously affordable price (e.g. $ 60.99 on the Amazon website). Speaking of affordable prices, you might also like our article about affordable drones, as it offers reviews of some of the cheapest, yet filled with features models. The first thing you will notice at this drone is the 6-axis gyro system with an attractive exterior design. It is well composed with a black frame that has fluorescent green elements, delicate plastic covers which protect the blades, as well as the LED flashing strips. All of this contributes to the nice and well-designed body. 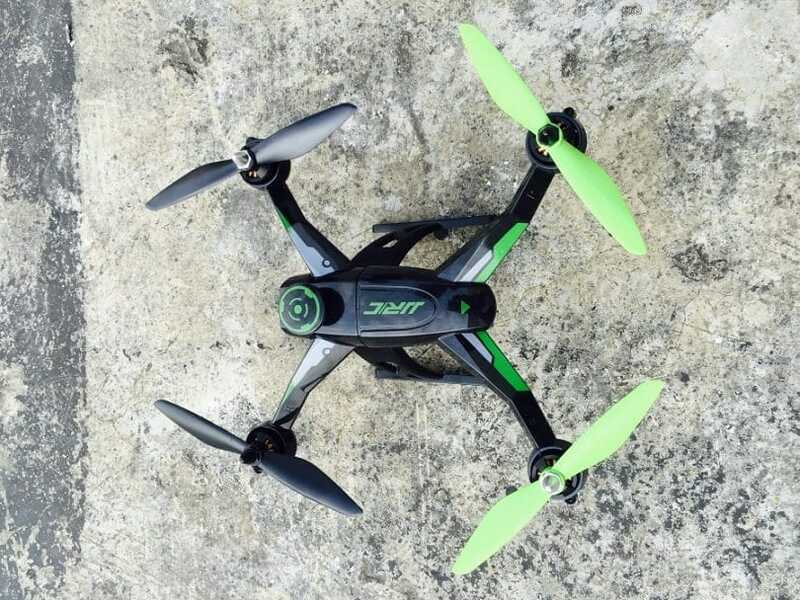 As for the properties, this quadcopter features 3D flip auto return mode, 2.4GHz 4CH gyro, powerful motors which run at 7.4V, and 2.0MP camera for the HD photos and videos. 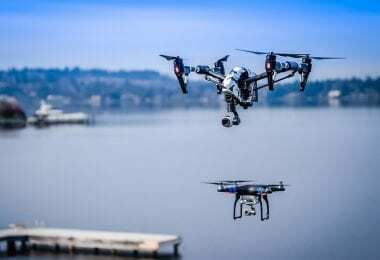 It is very suitable for the aerial photography due to its great flight capabilities, including stable hovering and eversion, up to 360-degree accurate localization, and 360-degree roll-over flight. Also, there are different flight functions: descending and ascending, turn left and right, up/down, forward, backward, and 3D tumbling action. While flying it, you can see the flight state at LCD monitor. Fly time is only 8 minutes while the control distance is up to 300 meters. To fly this cute copter, you will need 7.4V 500mAh Li-poly battery that requires about 90 minutes to be charged, and four AA batteries for the controller. The dimensions are 12.9 x 12.9 x 4.3 inch, which classifies it as a mini quadcopter. The small size and low weight (just 733g) make it very convenient to carry with you. 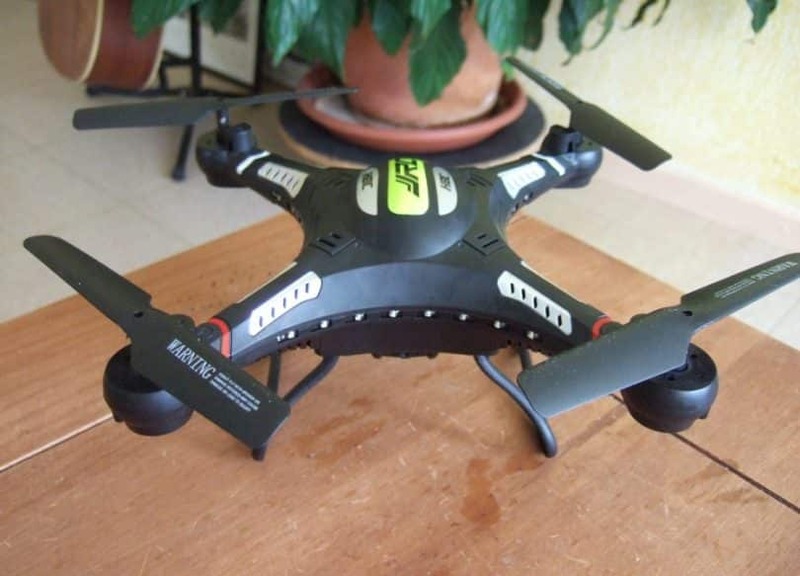 The next drone you should consider when looking for a JJRC aircraft is X1. This quadcopter is equipped with powerful brushless motors, and when the battery gets low during the flight, LVC reduce the power of the motors. It is very safe to fly due to the safety protection system with automatic blades. Thanks to this safety mode, the blades will rotate constantly in order to protect circuit board of the drone, when it gets close to an obstacle while flying. Although this model is determined as a professional drone, it is also suitable for the RC beginners. Among others, this quad features stunt flying skills, 2.4G 4CH transmitter that enables easy control, gravity sensor functions, and a remarkable modeling design. As for the flight modes, JJRC X1 comes with a variety of options, such as unimpeded wind resistance, auto-induction mode, ultra stable hovering, sideward flight, and 360-degree roll-over. What’s more, it is also intended for the night flights. There are 4-axis stabilized blades with colorful LED lights which blink in the night and thus indicate the position of your drone in the sky. Dimensions are 300 x 260 x 50 mm, and it only weighs 191.5g due to the lightweight frame. Flying time is about 15 min and you can control it from a distance of up to 300m. To run this quad, you will need 7.4V 1300mAh battery that takes 90 minutes to get charged. If you are looking for a professional JJRC drone for the best quality aerial photos and images, this model is right for you. It has a built-in FPV 2.0MP WiFi camera, so you will not have to ‘fight’ with a tiring assembly. 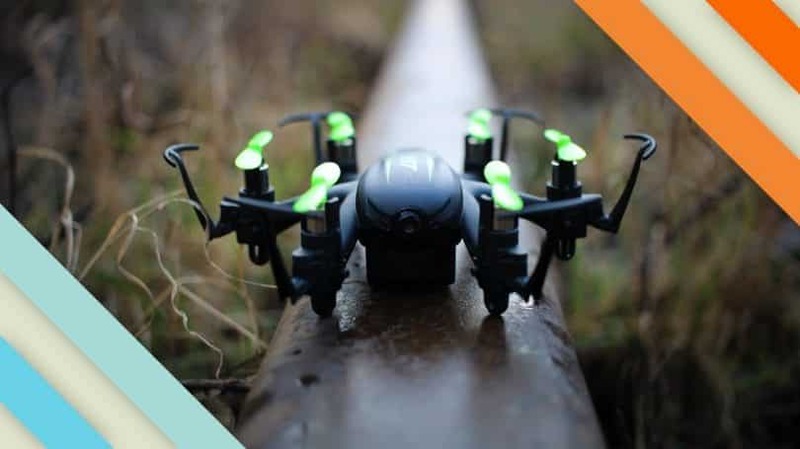 Even better, this model supports both iOS and Android devices, so you can connect your phone or laptop with the camera while flying this drone. This is one of the newest and the most advanced JJRC quadcopters. There is a wide range of amazing features, such as one-key return home function, headless flight mode, 6-axis gyro, 2.4 G remote control system, gravity sensor, 360° roll-over for the special 3D rolling effects during shooting, and CF mode for the better orientation in the air. Like the previous model, H26W is also equipped with 4-axis stabilizer blade and LED lights for the night flights. The maximum control distance is 300m and you can enjoy flying 7 minutes with a fully charged battery. Battery capacity is 7.4V 1200 mAh, and it is included in the package while AA batteries for the controller are not included. To charge the battery for the drone, you’ll have to spend 125 minutes. 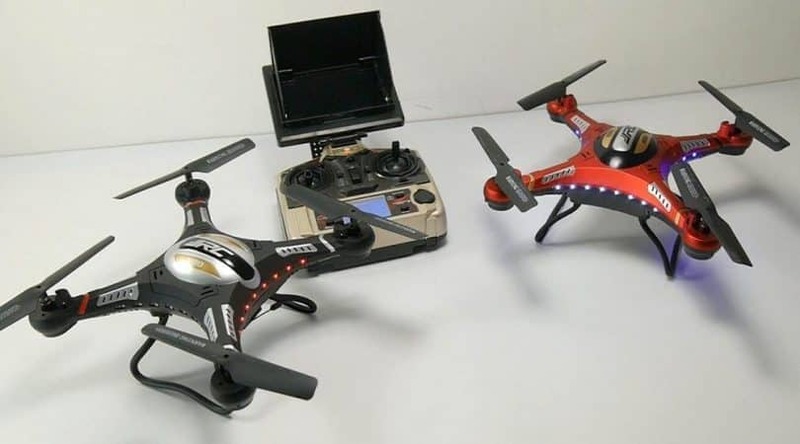 In the package, you will also get the camera, USB charging cable, transmitter, 2 spare props, 2 undercarriages, 4 gear assembly, phone holder, screwdriver, and user manual. Product weight is 2.8 pounds and the size is 18.1 x 18.1 x 8.0 inches. Another great professional quadcopter from JJRC manufacturer, the H12W is a model that stands out from the crowd and draws the attention of RC fans. The main features of this drone are 3D one-key roll function with 360° roll-over, 2.4 G control technology, 6-axis gyro, gravity sensor function for guide direction, and a brand new body structure. It also supports iOS and Android devices, so your smartphone can serve as a transmitter. Thanks to the WiFi FPV real-time image transmission, you will have an incredible view while flying this drone. It is a real pleasure to control this unmanned aerial vehicle. Built-in 6-axis gyroscope enables adjusting of the flight attitude, increase outdoor wind resistance, allows stable hovering, and more powerful shooting. Due to the advanced control technology, this quadcopter can be controlled very precisely and the response from it is more sensitive. H12W is also able to fly in the night like many other JJRC models. As for the other specifications, this drone is made of the quality ABS material, it weighs 99g, and dimensions are 31 x 31 x 4.5cm. To use it, you will need one 3.7V 750mAh LiPo battery for drone and four AA batteries for the transmitter. Charging time is about 100 minutes. It can be controlled from up to 300m and is able to stay in the air for 7 minutes with fully charged battery. In the category of the beginner JJRC drones, this mini hexacopter is the leader. 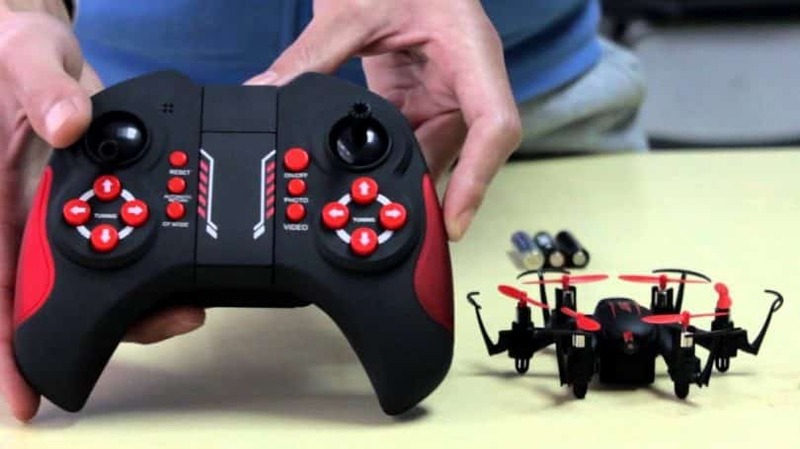 It comes with the latest six-axis gyroscope technology, coreless motor, 2.4GHz remote control frequency, an improved flight control system, integrated design for the precise positioning, and various flight movements (left, right, up, down, forward, backward, 3D Roll, side-to-side flight, etc.). Also, it includes 4GB micro SD card with adapter and 2MP HD camera, which make it capable of making very quality aerial pictures and videos. And that’s not all! JJRC H20C features one-key return call back function, 3D rolling 360-degree flight, and it is equipped with colorful LED lights for the night flight. As far as the design, all components are composed well in a black plastic frame (with red or green elements), there are reinforced blades with protective covers and an extra-tough casing for the high impact resistance. That’s why this mini hexacopter looks attractive at first glance. Control distance is about 60 meters and flight range is 5 minutes. Yes, it is considerably less comparing to the aforementioned models but is quite enough for the beginners. Due to the small size 120 x 110 x 30 mm, and a low weight 25.5g, it is easy to carry wherever you go. This drone requires a 3.7V 280mAh LiPo battery and three AAA batteries for the controller. Charging time is only about 40 minutes. Why buy a JJRC drone? Since all drones have their target audience, the JJRC quads are also aiming to a certain segment of the population. 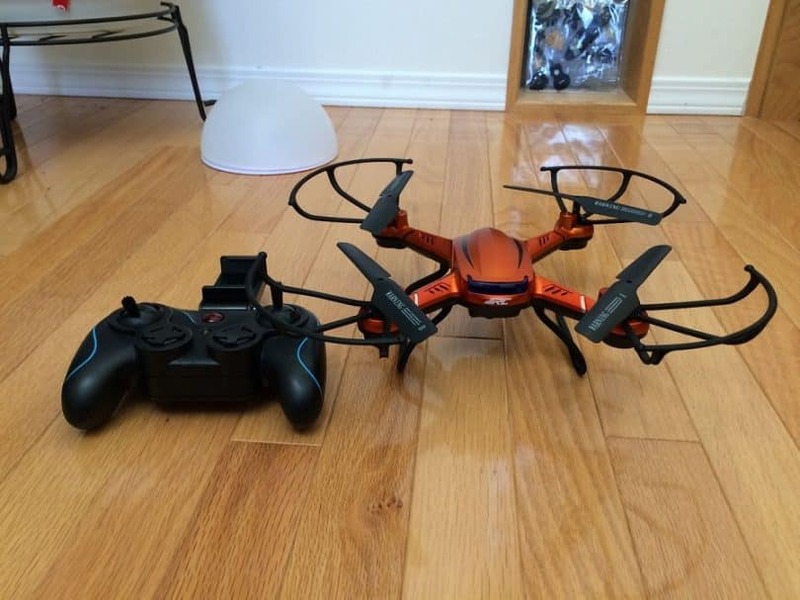 Let’s who is more suited for the drones we mentioned in this review. If you are looking for your first drone, the Anfan JJRC H8C is the best choice simply due to the fact that this unit offers amazing features that make it incredibly well-prepared for individuals who are beginners in this niche. The best part are LED lights that flash in different colors, so flying this drone at night is a real pleasure. In any case, this is a great drone just for fun and for individuals who like these toys. On the other side, it isn’t a professional unit, so don’t expect something extra. The price of the unit is more than affordable, and it is treated as one of more affordable drones on the market. However, for the price you get an excellent unit, capable of making amazing flights, across your desired locations. Even better, it is made from high-quality plastics, so it can withstand rough landings and similar issues that normally can damage drones. At the same time, the weight of this unit is very low, which makes it very easy to fly with and the maneuverability is more than just great. These are excellent reasons why this drone should be on the list of your possible choices. The design and the flying capabilities are better than most products on this price range have to offer. The flying time is 8 minutes and the better will be fully recharged in 80 minutes. In any case, this means that your drone will be ready for amazing flights as soon as possible, and it can stay in the air more than similar units. Another reason that makes this drone perfect for beginners and people who just want fun with drones is the design. This unit looks a bit different than other drones on the market, so it is a unique product. As you already know, this drone isn’t a professional unit, like the DJI S900, for example, for which you can also read our in-depth review. 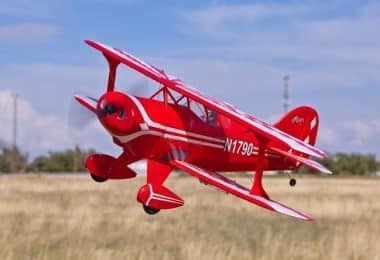 However, it has been designed for children and for people who like having fun and enjoying in amazing flying capabilities. The camera is present, but it isn’t designed for aerial photography. In any case, this unit is the perfect gift for any child. He will like flying and he will enjoy while the drone is in the air. Due to the fact it has 6 rotors, flying is easier than with similar units, which is another reason why this drone is more than just great for children. Keep in mind that this unit is suitable only for children age 14 and above, so it is not the best choice for smaller kids. Due to the fact children don’t treat their toys with a lot of care, the manufacturer used high-quality materials which are durable, resistant, but at the same time very lightweight. As the end result, we have a drone that is capable of withstanding rough landings and can withstand rough use. Components that are exposed to the possible impact, during a crash, are even more resistant and more durable. However, the risk of a crash is reduced to the minimum, due to the fact this unit has 6 rotors. Flying capabilities are a bit different than drones with 4 rotors have to offer, and they are a bit better. Flying time is about 5 minutes, which is enough for most children age 14, due to the fact they will get bored after that time. In addition, you also get a camera and a 4 GB, memory card. If you are into making aerial photographs, this unit can satisfy that need. The photos and videos are more than just good if you are a beginner. The Original JJRC X1 is a great drone if you like the speed and you like flying your drone to the maximum. In any case, this unit is well-made, has better features and it is fast. Racing with it is possible, but keep in mind that this isn’t a professional racing drone like, for example, the Aris X-Speed FPV250, with which you can get more familiar by reading our review of it. But, the materials of the X1 are resistant to lighter damages and crashes, so this unit is more durable than similar units JJRC have to offer. The design has to be mentioned as well. This unit looks modern, well equipped and stylish. In addition, it looks more expensive than it actually is. Another fact you should know is the price is higher than all models this manufacturer has to offer, but it is still affordable, so it is a perfect choice if you are looking for an affordable, but a fast drone. Original JJRC X1 is equipped with the LVC, a feature that reduces the prowler rotors get when the battery levels are low. This means that this unit can fly slower, for a longer period of time in order to get home safely. Another safety feature is used to slow down the rotors and prevent damages to a circuit board, in a case the drone senses an obstacle. All of this means that flying this drone is simple and easy, but at the same time, it is safe. Rotors also have protective elements, so this unit is great for people who don’t want to pay attention to potential obstacles and they don’t care too much about their drones. The flying time is 15 minutes and during that time, you can use the top speed. On the other side, the charging time is 90 minutes, so this drone can be ready for another flight in less than 2 hours. If you are looking for a drone that offers a perfect combination of the price, quality and is capable of making aerial photos and videos, the new Coocheer JJRC H26W is the best choice. This unit has been completely redesigned, so it is practically a new model, made by this manufacturer. A great fact about this unit is the color. 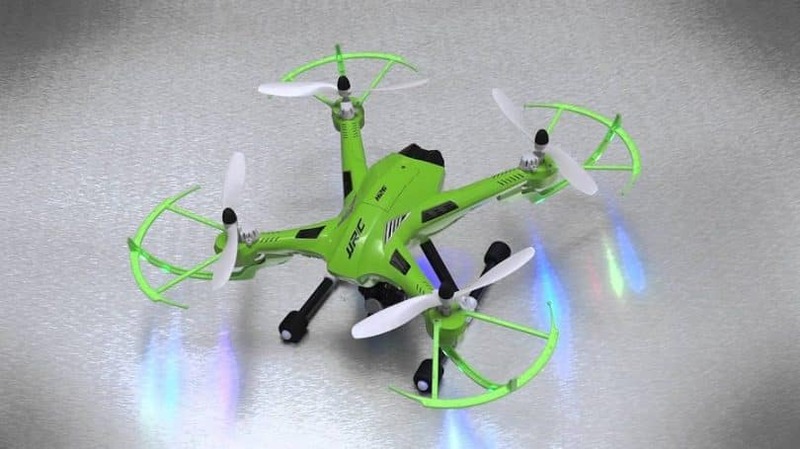 It is bright green, so you can always see it while it is flying in the air and it is more interesting than conventional, black colored drones. On the other side, it also comes with an HD camera, so making photos and videos is its main application. All photos and videos have a decent level of quality, but they are not great for professionals. If you are a beginner and you are looking for a great drone that can make amazing aerial photos, this unit is the best choice. The level of quality this unit has to offer is outstanding and it is much better than most drones, from the same price range have to offer. The manufacturer used lightweight material that is also very resistant. This means that you can use this drone in bad weather and it will withstand rough landings, without any damages or issues. Rotors have protective components that will protect them in a case of obstacles, so this is another feature that makes this unit a great choice if you are planning to make videos and take photos from dangerous and problematic places. Connecting this unit with your smartphone is another fact that should be taken into account. In fact, this procedure is very simple and it takes just a few minutes. Even better, it supports all iOS and Android devices, so there will not be any issues even if you have an older device. People who like flying with their drones and enjoy the amazing video streaming will be more than satisfied with this unit. It has an HD camera and it can be connected to any smartphone in a matter of seconds. 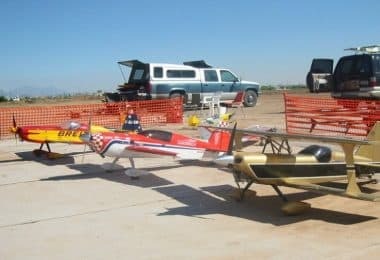 On the other side, the unit can make sure you will have a lot of fun, simply due to the fact it offers the highest level of maneuverability and it is more than just fun to fly with. During that time, you will be able to enjoy the amazing videos from the ground. An interesting addition to this drone is the design. It looks different than most, other drones have to offer, so it is a much better choice than other drones from the same price range. At the same time, the level of quality is more than good so there will not be any issues with the damages nor the components. The rotors have protection, so you can use this unit for tight spaces that usually can damage your drone. In any case, this drone is more oriented towards the fun and amazing video streaming that for professional applications. However, keep in mind that the price is more than affordable, so this unit is perfect if you are looking for an affordable unit. The flying time is 7 minutes, which is more than enough if you take into account the price and the class of this unit. In fact, the flying time is a bit better than competitor models have to offer. If you like stable flights and you like enjoying in your video streaming, this unit is a great choice, again. It has several features that allow it the steady flights. As you can see, the choice is really good for both beginner (primary) and professional JJRC drones. When choosing a model you should pay attention to all features, properties, and flight capabilities alike. Not to mention the design and price. Also, you need to take into account your RC knowledge as well as experience and for which purpose you need a drone.